This week, I caught up with Wolff’s Plant Manager Laura Dusenshine to learn more about designing early spring flower boxes to take full advantage of early spring flowers as we add splashes of color to our homes and gardens. Here is her vibrant, plentiful bouquet of advice. As people design flower boxes, what kinds of flowers could they incorporate right now, in early April? Laura says there are many cold-hardy plants to include right now. She recommends pansies and violas (mini pansies). She’s also quick to recommend stock, which have silvery leaves and bright, fragrant flowers. Nemesia, another cold hardy plant, “cascades over the edge” of flower boxes and is very showy, says Laura. The flowers have a snapdragon-like shape and come in many different colors. Lamium cascades, too, trailing tiny purple, pink and white flowers along with variegated leaves lined with silver. When Laura starts talking about the next flower possibility, ranunculus, she’s clearly excited about this flower she describes as huge, bright, gorgeous and peony-like. Wolff’s has been carrying this perennial for several weeks now. 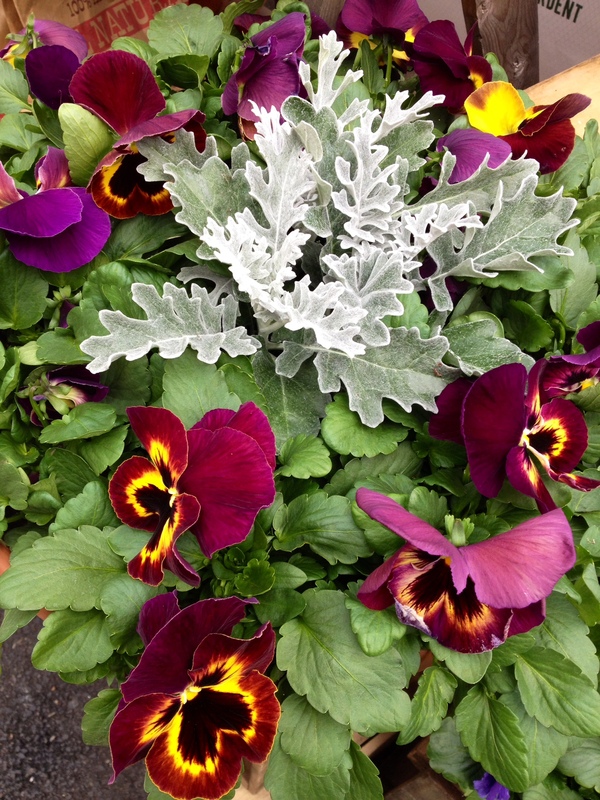 For texture, Laura recommends silvery dusty miller plants. 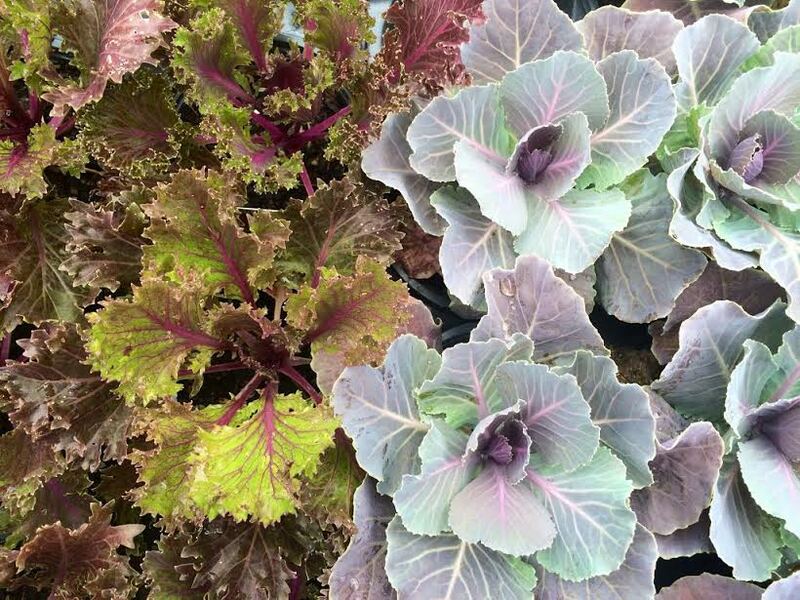 She notes that cool-weather vegetable plants like kale look good in an early season flower box. She also suggests using fragrant alyssum for filler. 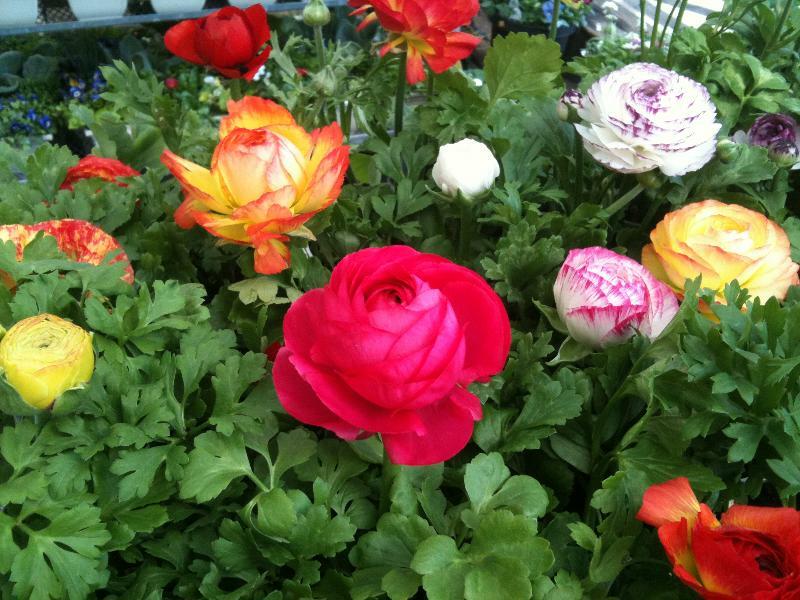 Their tiny petals will fill any “blank” spaces in the flower box. How long will a flower box last, if gardeners start it now? Most of these flowers, she says, will last until June, except for pansies which are the first to dry out in summer heat. Do you have any tips for designing a flower box? You’ll want a thriller, filler and spiller, says Laura, so that you’re combining three height levels. The “thriller” plants are the tallest and their function is to catch the eye. The “filler,” made up of smaller plants, stands to the left and right of the thriller. The spiller then cascades over the edges. These guidelines are true at any time of the year, and they’ll help gardeners avoid awkward-looking flower boxes. As far as color combinations, Laura recommends looking at a color wheel. You can also look for the colors found in a variegated leaf and draw those colors out through your choice of flowers, she points out. For instance, if there’s a touch of yellow in a leaf, add some yellow flowers to the box. 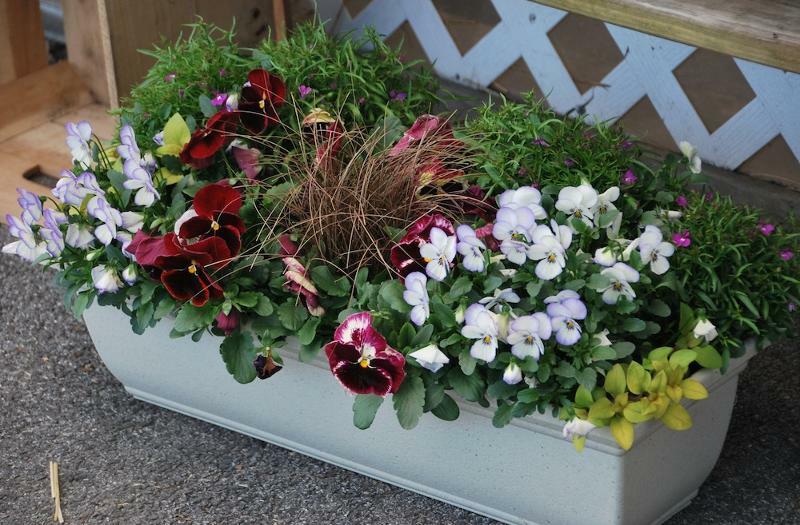 What are your tips for caring for a flower box? Don’t water it as often in the spring, she says, because cool temperatures could mean that the water frosts or even freezes overnight. She also urges gardeners to use good, rich soil for their boxes. It might be tempting to re-use old soil from last year, but this will not produce strong, healthy flowers.